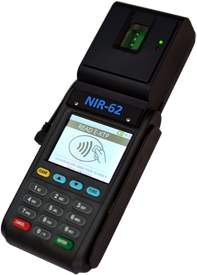 Multi-function Reader for Indonesian Identity Card (e-KTP). Reading content of e-KTP chip (biodata, photograph, signature & fingerprint). Validating authenticity of e-KTP chip and validity of the card owner using fingerprint authentication. 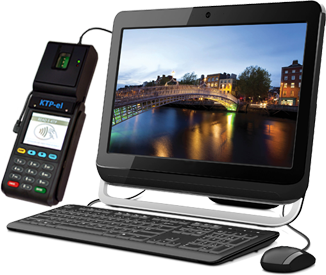 Activation, Viewing, Storing & Copying/Transmitting contents of e-KTP chip. Equipped with LCD Display with touch-screen capability (by using pen-stylus) for capturing signature; with Screen & Buzzer indicator. Optional functioning as payment device with certification: NSICCS, Visa/Master, PCI PTS 3.x, EMV4.3 Lvl 1 & 2.